Built by Baguley, E. E. Ltd., Shobnall Road, Burton-on-Trent. 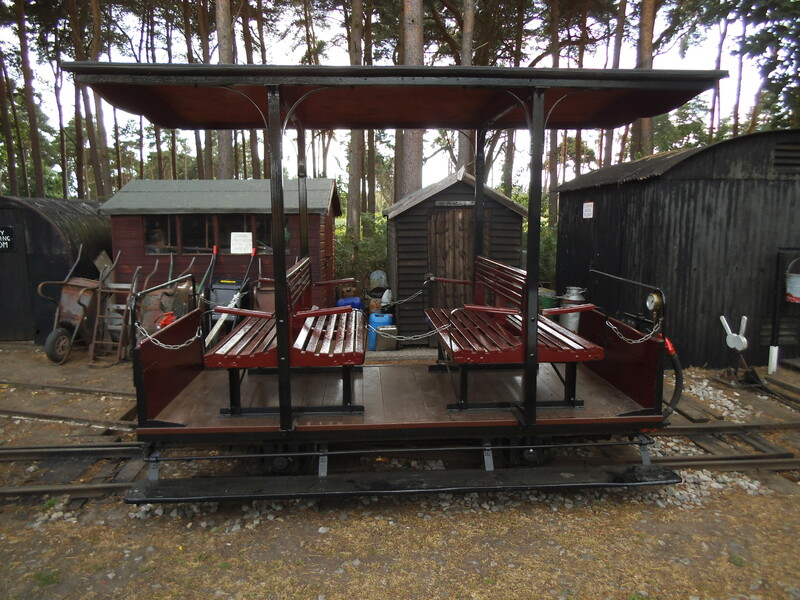 These were originally built for a private estate railway at Lilleshall Hall, Shropshire, under Baguley works order 136 placed on the 8th March 1928 which was for three coaches of a jaunting car style ( Bench style seating down the middle.) .They were delivered to Lilleshall Hall, on April 2nd 1928. A further 3 coaches were delivered in 1935, making a total of six one of which being braked (the braked coach is one of the examples on the OKLR). Lilleshall Hall closed to the public on the outbreak of WWII. In March 1953 all six coaches were delivered to Alton towers theme park, were they remained until 1996 being sold to a private owner, before being purchased by the OKLR in 1999; the braked vehicle has since been fitted with a roof. 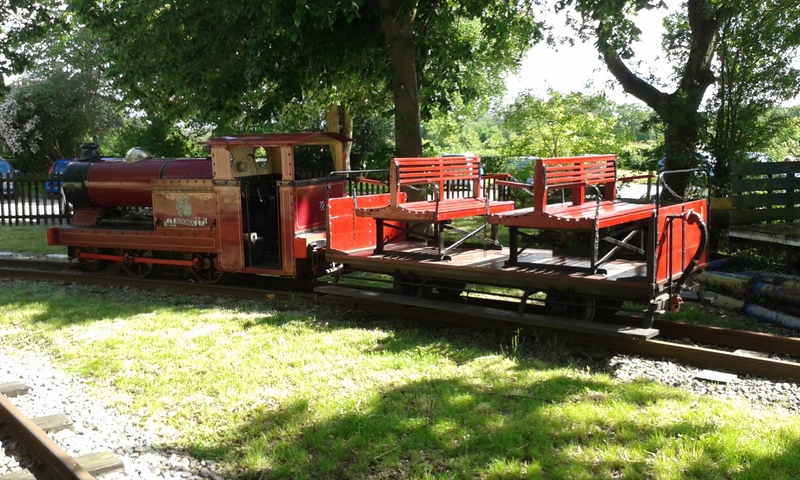 With the loan of ex lilliehsall hall and Alton Towers locomotive “Altonia”, also built by Baguley, we can run a complete Baguley built train on certain bank holidays. Purchased from the East Hayling Light Railway at the end of 2008. This coach started its life as a Side tipping stone wagon, using the chassis it was converted into a grey generator coach, with no windows. Purchased by the OKLR in the early 90’s the transformation into its current guise began. This brake van was converted from a mobile ticket office, purchased from the East Hayling light railway.